When I received this submission from photographer Jesse Holland, I couldn't refuse. Not only does it feature one of my favorite subjects (dogs! ), I love the premise behind it. Jesse was approached about doing a shoot that involved two friends who run a doggy daycare center and grooming business. Since their work days are spent wearing t-shirts, jeans, and yoga pants, Jesse thought it would be fun to give them a chance to play dress-up for the day and take some photos of them in their element (along with their dogs, of course). I asked Jesse what made this particular shoot one of her all-time favorites. 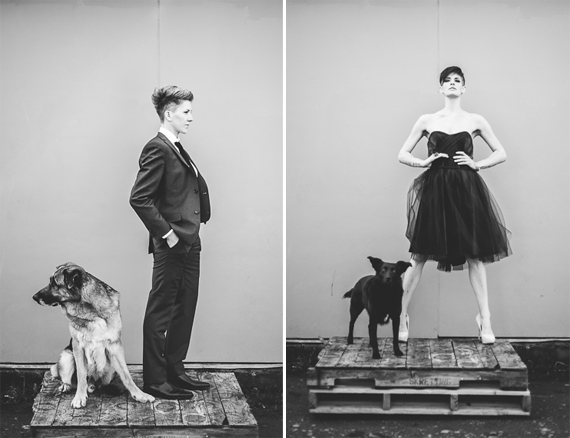 "As a pet and wedding photographer I don't get a chance to step out and do a lot of 'fashion' shoots. So when my friend Elena approached me about doing a shoot with Cara and Trish from Top Dog, I was immediately on board. Normally when I interact with all these women, we are wearing rain boots and yoga pants as we walk our dogs along the beach, so it was nice to see them get dressed up and get them in front of the camera. I am sure most of their customers usually see them covered in dog hair, so this was also a chance to show off another side of who they are, outside of the business they run. Besides, who doesn't love dogs and great looking ladies?" 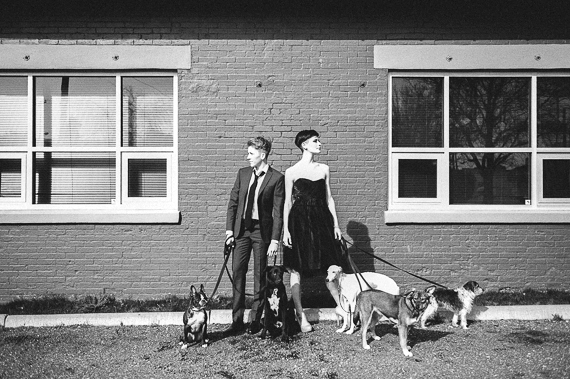 Jesse's friend Elena, who initially approached her about doing the shoot and styled hair for the project, says that she really wanted to work together on something with this group of close friends, who are all huge dog lovers. 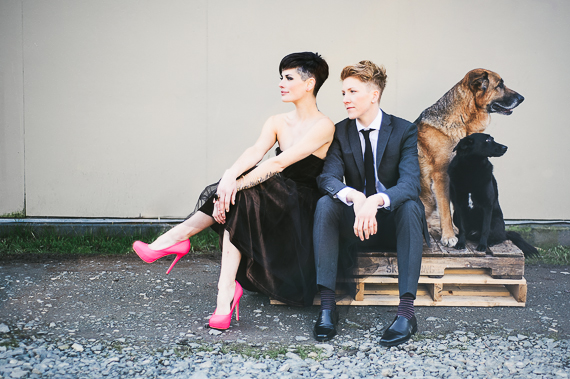 "I have shared laughter and tears with Cara and Trish at Top Dog. 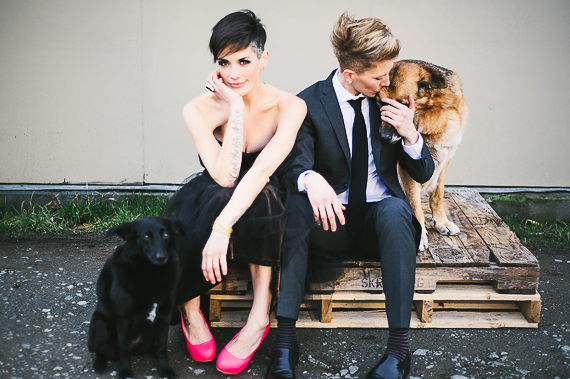 Jesse and I worked on a wedding together last summer and I fell in love with her work. Her dog Charlie has since become part of our pack and is a welcome addition. Having Melanie Baird and Erin Bradley on board (for makeup) made so much sense. I am fortunate to be part of such a wonderful community of women. We support and love each other, and for me, I continue to be inspired by my friends." Big thanks to Jesse for sharing these gorgeous (and simultaneously adorable!) images with Bubby and Bean readers. You can view more of her work via her website, Facebook, and Twitter. Too cool! I love the way these shots feel. Definitely a cool photo shoot! Loved this! It made my day! Thanks for sharing this, it gave me such a smile!! 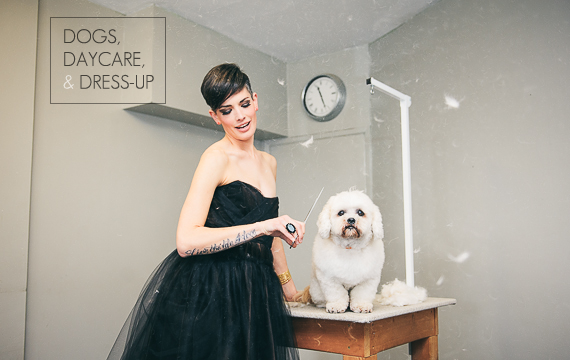 Who says working with pups can't be glamorous?! this is SO amazing - I love it! 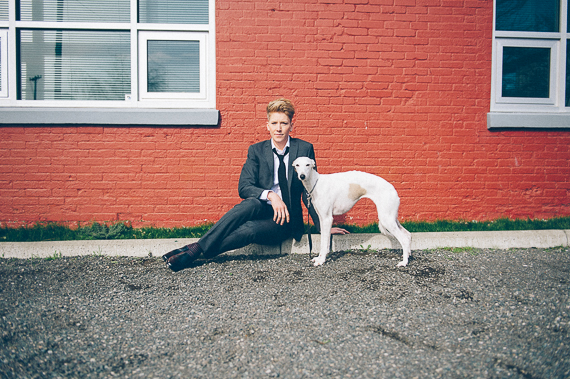 As a huge dog lover/owner myself I think this sort of photo shoot is perfection. this is so cool, love it. i'm following you now love! if you have a moment, I'd love if you could check out my latest post. 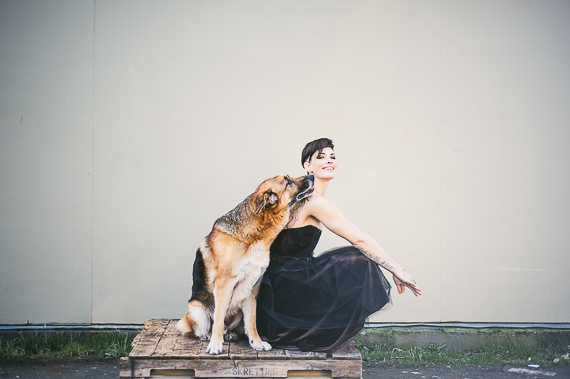 Nice dress: even nicer dogs: and really good read! Thanks! these photos / the concept just made my day. Amazing photos, as much as I love looking at dogs, I can't take my eyes off the models, love! I love this shoot! 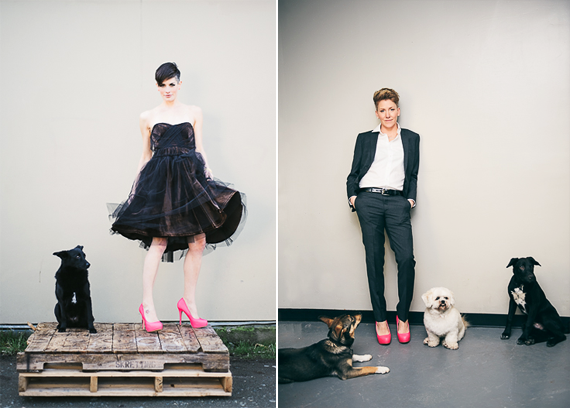 The hot pink shoes add just the right amount of pop to the images. Just plain fun! Thanks. Love the dress and the arm-tattoo! Awesome pictures. I know Cara (the model) from the tattoo shop I work at. You should see her crazy back tattoo she's getting. It's great!! These are awesome pics! I love dogs and fashion - to see them together is great. I also love to see how we as women express ourselves! Great shots!!! I love cloths & dogs perfect combo!!! Adorable! And I love her dress! AND the dogs! That is an incredible photo shoot! What an awesome shoot! That last picture is pure bliss. Love!